First novel by an Irish-American former nun that’s more a spirited reprise of the Roman Catholic Church’s response to the spiritual and temporal changes of the 1960s than an engrossing tale of a young nun’s growing disillusionment with convent life. 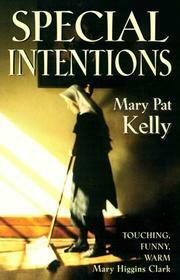 Margaret Mary Lynch, who narrates her own story, wants to make her life count’so, in 1962, after graduating from high school, she enters the convent of the Sisters of Redemption. These are the same Sisters who run the school she’d attended in the Chicago suburb where she lived with her large Irish-American family. Two uncles are priests; the others all dabble in politics of one kind or another—and, given the time and the place, it’s no surprise that the politics are Democratic and the loyalties fierce, especially to John F. Kennedy. Margaret Mary, soon to be called Sister Maura, vividly details convent life, as well as the various stages an aspiring nun must attain before making her final vows. Spirited and unconventional, she finds it difficult to observe some of the rules—for example, being allowed to write only one letter a month to her family. As she moves up the religious ladder while attending college, she reacts to the great changes of the era: Pope John’s new dispensations, the Kennedy assassination, the civil rights marches. By the time she has earned her degree and been sent on a mission to a Chicago inner-city school run by the order, Margaret still feels that being a nun offers the best chance to make a difference. But the senior nuns’ reactions to the Chicago riots after Martin Luther King’s death change her attitude. Offended by their racial prejudice and sent to teach in a white suburb, instead of where she might really help, Margaret leaves the order—as soon do many other sisters, she learns years later. However worthy its intentions, the author’s narrative makes Margaret seem more self-absorbed Boomer than believer agonizing over her vocation. The result seems too light a take on a heavy subject.